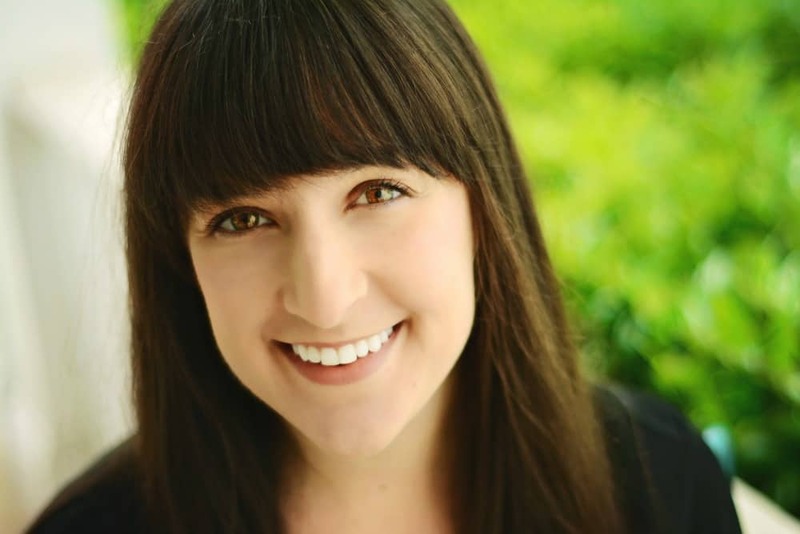 March 24, 2017 By Liz 56 Comments Note: This post may contain affiliate links. Nutritional yeast was one of the best things I discovered when I first went vegan. 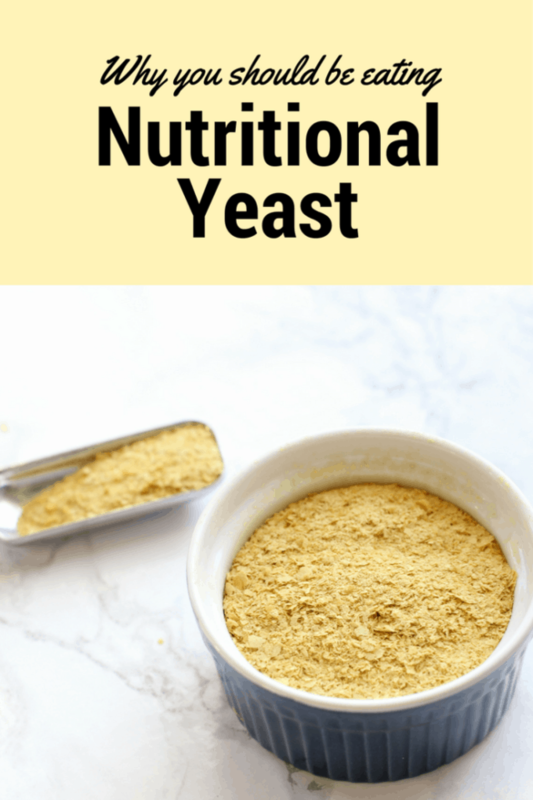 I’d seen it on a handful of blogs and I’d considered buying it when I saw it at Trader Joe’s, but I wasn’t sure exactly what nutritional yeast was or how to use it. 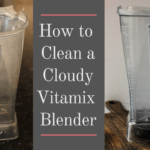 Once I started playing around with it I realized that it’s not just healthy but it’s also really delicious and easy to use! So I thought I’d share a little bit more about nutritional yeast and why I like it! Let’s start with the basics: Nutritional yeast is made from a specially selected strain of a yeast, so it’s not the same as the kind of yeast you use to make bread. It’s naturally gluten free, paleo, kosher, and vegan, so it’s suitable for most types of diets. Nutritional yeast has a cheesy, nutty flavor. You know the powdery cheese that sticks to your fingers when you eat “cheese” popcorn? It’s sort of like that… except that it’s natural and good for you! To enhance the cheesy flavor, you usually need to add a little salt, unless the food you’re adding it to is naturally salty. Is Nutritional Yeast Good for You? Nutritional yeast is so good for you, especially if you’re a vegetarian or vegan. It contains vitamin B12 which is typically hard to find outside of animal sources. It also has tons of protein. 1/4 cup serving of nutritional yeast has only 60 calories but 8g of protein and 3g of fiber! It’s basically like a healthy, savory protein powder! What can’t you do with nutritional yeast?! Obviously, it’s delicious sprinkled on things like popcorn but it’s also amazing in soups, stews, or sauces. Many people use it in vegan versions of “queso” with soaked and blended cashews. I love it on these vegan “cheesy” kale chips or in this creamy farro and tomato dish. 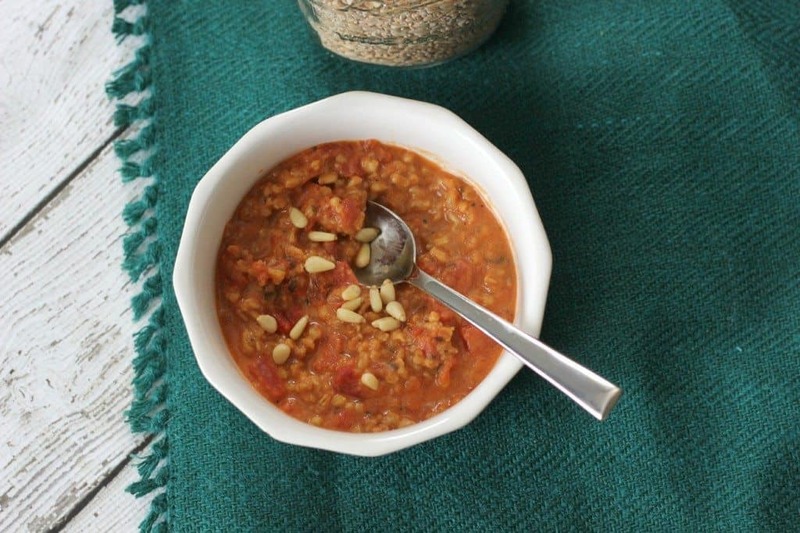 When I was vegan, I used it in a macaroni and cheese recipe to mix it with couscous, salt, and almond milk for a vegan version of my favorite comfort food. You can usually find it in the natural food section of most major grocery stores. Bob’s Red Mill sells it in bags and Bragg sells it in a parmesan-cheese-style shaker container. If you want to save a few bucks, natural food stores like Whole Foods often sell it in bulk and it’s extremely affordable if you can find it in a bulk bin! It doesn’t weigh very much so a quarter of a pound will last a long time! 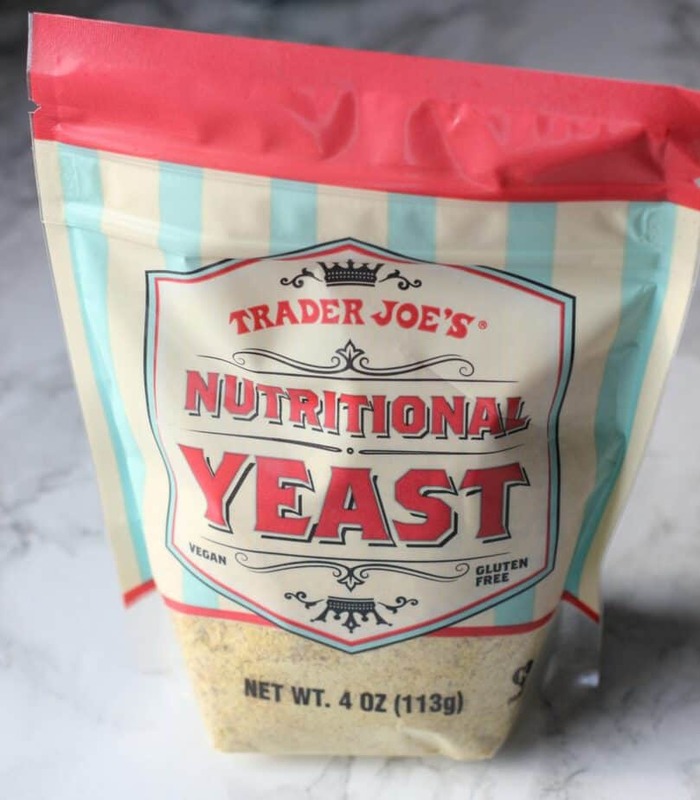 Recently I’ve been buying Trader Joe’s nutritional yeast and it’s really good! How Long Does Nutritional Yeast Last? You’ll want to store it in a dark glass or ceramic container in order to keep it protected from the light. You also want to make sure it’s tightly sealed to keep moisture out. I usually keep mine in an airtight container the fridge where it can last up to a year! 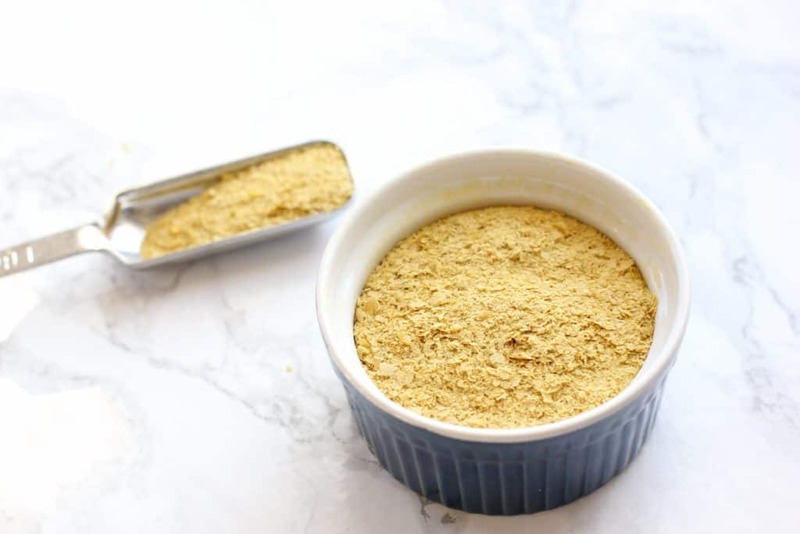 Have You Ever Tried Nutritional Yeast? I still haven’t tried nutritional yeast! I have heard about it many times and when I was dairy free I tried to find it at our local store and they didn’t have any. I just never got around to ordering some. 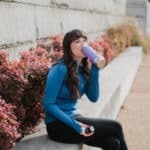 This post is making me want to try it though! you know I always forget to use it. It is in my pantry thanks for the reminder! Thank you for this! I’ve never really understood what it is, but now that I know it’s at Trader Joe’s I may need to check it out! I used to get nutritional yeast a lot, but I completely forgot about it! I just saw TJ’s got some in stock, so I’m going to pick some up. Love the cheesy taste of it! i spy new look and i love it!!!! i need to restock on nutritional yeast..i use it on savory trail mix and its delishhh. I LOVE your new design Liz; and I really want to try nutritional yeast on more dishes; I used it a long time ago, but I haven’t used it for a while. Cheesy Nutty flavor…I’m all in! Thanks for the great post, I learned a lot! i’ve actually wondered about nutritional yeast. Thanks for sharing this! I always picture a different type of yeast (LOL) so thanks for this. Ooh interesting, sounds like nutritional yeast is a really good way for vegans to add an umami boost to dishes? Yum! I heard lot about nutritional yeast. Never tried it my self, I am worried about spending money on the something which I rarely use. I like your article now I know I can use it various dishes. I will give it a try. I’m not a vegan, but I love nutritional yeast. I feel like the name doesn’t do it justice–it’s such a fantastic way to bring umami notes to a dish! I guess I’m going to have to give this a try…I can see how it would be an easy substitute for things requiring a nutty flavor since B.O.B. Bob is allergic. I’ve been trying to come up with different things to use in pesto. Very informative post Liz. It’s been a long time since I’ve used nutritional yeast but you have me re-thinking it now especially since I’m vegetarian. Question for you…my daughter took a food allergy test and she has several food allergies come back positive, One of those was yeast. If she eats yeast, she swells and breaks out on her face. I wonder if she would have the same reaction if we try nutritional yeast? Do you know? I can ask her allergist, but I’m wondering if you know by chance. I have not used this in some time, so thank you for the reminder! I need to get some tomorrow when I go shopping as I know how helpful it can be!! I love nooch! (If you’re thinking, she must be vegan, you’re right!) I love it on popcorn, in kale salad, in pesto, on baked potatoes, on pasta…I always have a big supply of it because I would hate to run out! 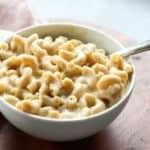 I finally tried nutritional yeast last year, first on salads and then made vegan mac and cheese with it. I find it delicious and best from bulk bins to get the amount i need. Great post! I’ve just recently got into using nutritional yeast in my cooking. It’s so versatile! You had me wanting to try it once you said it tasted like cheese! I’m in! Thank you for the information. I may have tried nutritional yeast years ago when I was on a big health kick. I probably should get back to the health kick. I’ll check out our stores if they have it and how I can use it to improve the nutritional quality of what I eat. I have avoided nutritional yeast in the past but now that you shared this awesome information I need to get over it and get some ASAP! Ok…I will admit I have never tried nutritional yeast. I have used regular and quick rise yeast for baking. We love popcorn…so the fact you say use it as a topping has me totally intrigued. I wish I read this post before I went to the health food store today. I will add it to my shopping list for the next time. Thanks so much for enlightening me on this wonderful and healthy product. I’ve heard about nutritional yeast but never tired it. I know it’s good for you but never really read much about it. So this post was great for me. Just the information I needed to know in a nutshell. Thanks. Will have to look for at it at the pharmacy here soon. For as often as my husband and I use nutritional yeast I should buy stock. It’s a staple in our pantry. I have still not tried nutritional yeast but was curious to know more so thank you for this insight. I will buy some next time I see it. I love this stuff! My favorite it to sprinkle some on spaghetti! Nutritional yeast is one of those things that’s been on my “to try” list forever but I’m never sure how to use it. Thanks for this post – I have some ideas now! And extra B12 is always a good thing for me. 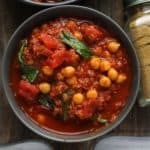 I have always wondered how vegan recipes have that cheesy flavor! Thank you for sharing all of this great information. I really liked your analogy of the cheesy stuff from popcorn and other things that gets stuck to your fingers. Luci’s Morsels | fashion. food. frivolity. I always see this in recipes, but I’ve never used it – obviously that needs to change! Thank you for all of the wonderful information! It’s so good! Definitely give it a try, Debra! I can’t tell you how very helpful this post is! I’ve never tried nutritional yeast but I see it on so many vegan recipes and always wondered about it. Looking forward to trying it now! I’m so glad it’s helpful, Marlynn! That’s a good place to start, Emma! I always have nutritional yeast on hand in my pantry. We love to use it in homemade seitan or I love to make a vegan parmesan cheese topping for garlic bread. It’s such a great and versatile ingredient! The salad sounds perfect for spring and I love love love avocado!! The dressing sounds delicious and I would just slather it on everything. This is great information. I do use nutritional yeast but actually, didnt know much of the benefit. I wasnt sure if vegans can use it and I’ll share this with my vegan friends. I love nutritional yeast! I’m actually making a vegan pesto sauce with it tonight! Wow, that was a really good read. I didn’t know much about nutritional yeast but now I know. I think I’ll incorporate it into my meals. Thanks. I’ve never heard of nutritional yeast before so have never tried it. Had I heard the term I probably would have thought it had gluten if I took a quick guess. I literally just bought nutritional yeast for the first time the other day without a real plan on how to use it. Thanks for the suggestions, that farro dish sounds like a winner! Years ago, I tried nutritional yeast and was not impressed. I think it is time to give it another try. I had no idea how nutritious it is. i’m trying to go vegan too, and I’ve been hearing a LOT about nutritional yeast! I think it’s time I picked up a bag! Thanks for all this great info! I just came across nutritional yeast in our market and had no idea what it was for. Thank you for this primer! 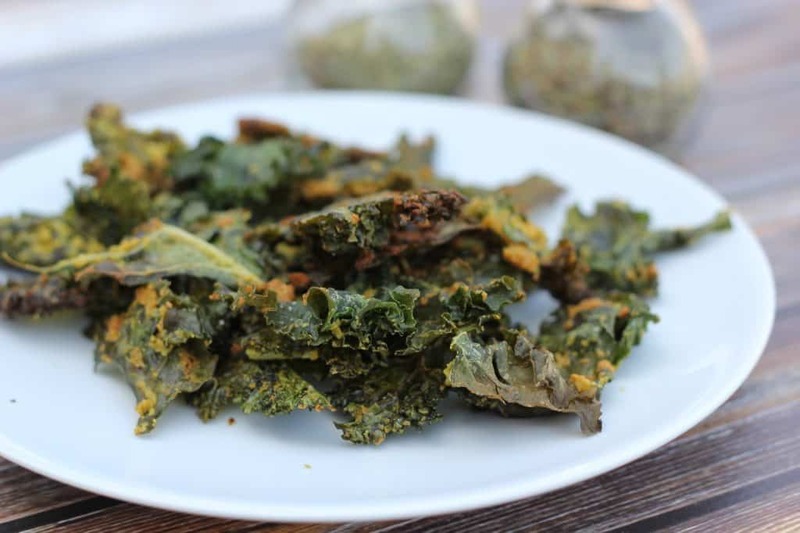 I only bought some the other day and I was going to make kale crisps with it. I can’t wait to try it. This is perfect. I. Ought some a while back and have yet to use it! Yes! Definitely give it a try! It’s delicious! Wow! What an informative article, I had no idea about nutritional yeast or how to use it LOL! Thank you! Such a helpful post! I’ve always been nervous to try yeast, but I’m gonna give it a shot now!